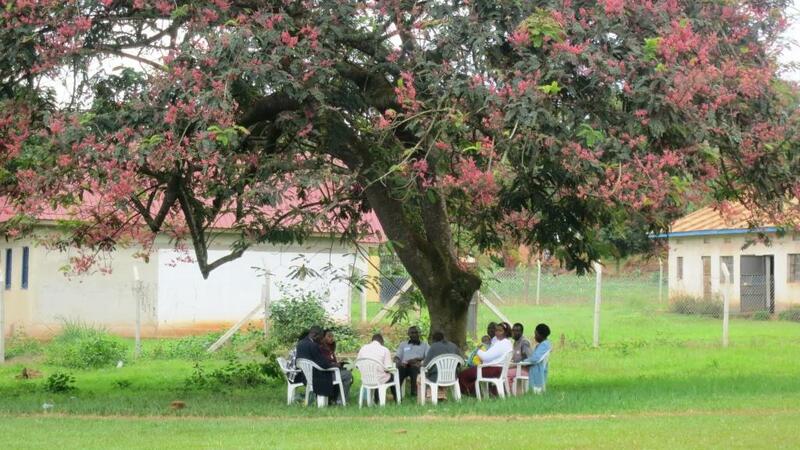 Rooted in Jesus is a discipleship programme for Africa now in use in 16 countries. It is edited and directed by Revd Dr Alison Morgan. “Rooted in Jesus allows no space for grass to grow under one’s feet. You have got to keep on moving, monitoring the growth of the Lord’s disciples stationed in various churches. It is a ministry that generates joy in one’s life as one watches and participates in the growth of disciple making. As the Lord promised to be with us in this glorious activity of disciple making, His presence is indeed conspicuous. He continually speaks through His ancient Words to bring forth meaning applicable to our daily life experiences, in ways we have not heard before. So no one leaves Rooted in Jesus assemblies without taking home something new for his/her people. We are enjoying what we are doing and it is a life time ministry. I visited Myanzi Church twice and I have the confidence that Eric the trained leader of Myanzi church can continue without me for some time. I suggested to him that teaching Rooted in Jesus to the whole church has several advantages over teaching a group of 12 while each member has attendance gaps. Alternatively, it can be simultaneous activity, dealing with a small group of 12 to 15 people on different days of the week; but leaving part of Sunday morning service for the entire church membership. We will handle what works best within our context. Today I went to Luteete church. I wanted to follow up Jenifer who replaced Annette. Annette was transferred to Nabiti church. Before her departure, she prepared Jenifer to take over from her. Annette has bloomed where she was planted. She has a group of 15 members fully engaged in Rooted Jesus training. But Jethro and I prepared her to handle the entire worship assembly discipleship training. Prior to going to Luteete church, I visited Ssekanyonyi parish to find out how Rev. John Moses was faring with Rooted in Jesus training. I learnt from him that he had done great work at Namukomago church. He suggested to take me there and see for myself and I said yes. In the near future, Moses and I will move together to Namukomago. “The church was packed. Children made it almost impossible for me to get away from the pulpit. I had to welcome Robinah who rushed from the place where she had sat to come forward and receive Christ. I put my hand upon her and it was obvious the Lord had already claimed her life. After she had confessed Christ publicly, church members raised their hands to pray for her. These were glorious moments. All church worshippers shared them. I had to leave church before anybody else. I had to meet Esther the 90 year old lady and her granddaughter Alice. I wanted to know how they were faring in the Lord Jesus, especially Alice who was one week old in Christ. All was well with them. When we leave after ministry, the Holy Spirit continues with it. Prior to my going to Esther’s home, Robinah the newly born in Christ brought Stephen, a young man in his late twenties. She introduced him as her young brother who also wanted to recommit his life to the Lordship of Jesus. I made no hesitation to pray for Stephen and he ended up recommitting his life to the Lord Jesus. Rooted in Jesus training is the only way new and old Christians can be kept focused on our Lord Jesus and ministering to His people. That is what we believe is happening in the Diocese of Mityana. To find out more, visit the Rooted in Jesus website. Diocesan coordinators are chosen for their commitment to the task of making and growing disciples. John’s commitment is such that he is willing to sacrifice not just his time but also his own resources as he travels round the diocese guiding and supporting the group leaders, who also give their own time and energy to help others follow Jesus. John writes frequently, sharing his joy as people come to faith and are released into ministry. All this is possible only if we can provide the training and books that are needed to help people become truly rooted in Jesus. If you would be willing to help us support the ministry of people like John as they seek to make disciples across rural Africa, we would be immensely grateful – please visit our support page or simply click the purple button. This entry was posted in Uncategorized on May 6, 2018 by rootedinjesus. “For the love of Christ urges us on, because we are convinced that one has died for all; therefore all have died. And he died for all, so that those who live might live no longer for themselves, but for him who died and was raised for them. 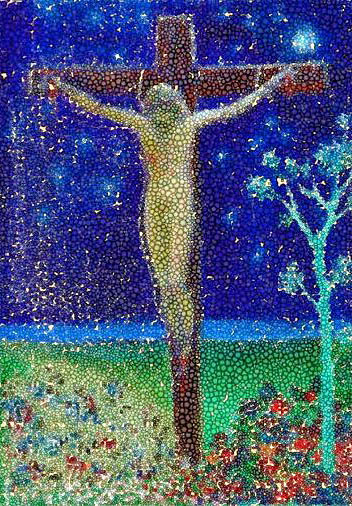 The Crucifixion, by Emilia Maggio. This entry was posted in Uncategorized on March 30, 2018 by rootedinjesus. Rooted in Jesus is a practical discipleship programme in which trained leaders facilitate small groups of people who wish to deepen their discipleship. It is not a Bible study programme – it is an applied, interactive programme which aims to change people’s lives, churches and communities. Designed specifically for Africa, Rooted in Jesus covers the basics of Christian faith and ministry from an African cultural perspective, using only resources that are commonly and freely available. Rooted in Jesus has now been running for 16 years, and Rooted in Jesus Junior, the companion programme for use with children aged 8-14, for 6 years. During that time it has been translated into 42 languages and introduced to over 80 dioceses, denominations and theological colleges in 16 African countries. It’s always hard to measure the impact of a programme, but during those 16 years we have trained over 12,000 people to lead groups, and we estimate that over 100,000 people (adults and children) have joined groups. We continue to receive remarkable testimonies from group leaders and local coordinators, and many of these are posted on our website. Rooted in Jesus has become a key resource for the African church, and it has been a privilege to watch its growth and to support those using it. None of this happens by accident; it happens when we take steps to make it happen. If there is an intentional culture of discipleship and disciple-making within a diocese or network, then the lives of individuals, churches and communities within that network will be transformed. Discipleship is not just one of many things that we do: it is the core from which everything else flows. This is the vision which we have continued to pursue over the last year. In 2017 we sent teams to facilitate Rooted in Jesus and Rooted in Jesus Junior training conferences in Malawi, Kenya, Madagascar and Uganda. 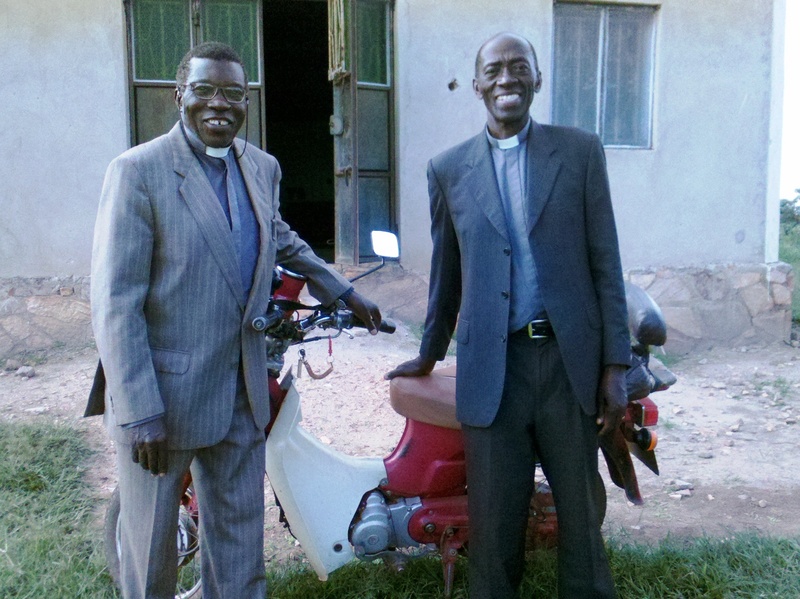 We provided further financial support to the Diocese of Kajo-Keji in exile and to the Province of Tanzania, where Rooted in Jesus is directed by Bishop Stanley Hotay. We provided fresh supplies of books to Uganda, Tanzania and DR Congo as groups there progressed and new groups were established. We printed five new translations, and published a Rooted in Jesus Junior Training Manual for use by conference facilitators and diocesan coordinators. The challenges of long distance communication remain real, but we have sought to maintain active links with dioceses and coordinators, many of whom have sent us regular updates during the year. 31 clergy and 49 lay leaders attended the conference; the Diocese has appointed regional coordinators and plans to run further regional training conferences. The diocese has invited us to facilitate a follow-up conference in 2018. 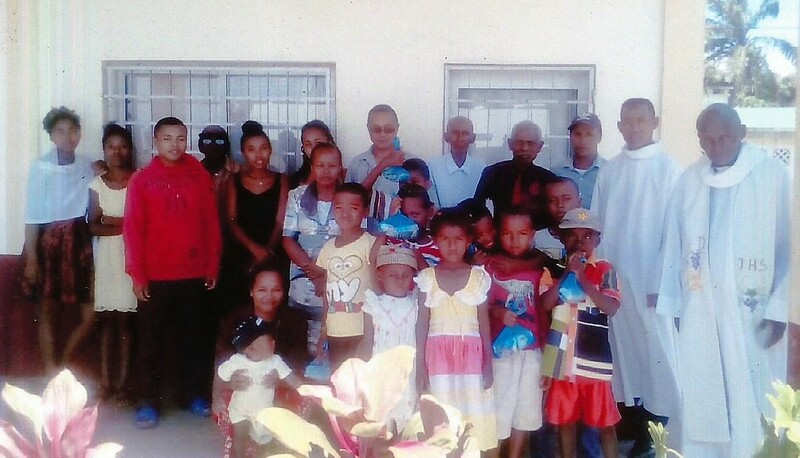 In August a team led by Canon Jacob Robert travelled to the Dioceses of Fianarantsoa and Toliara in Madagascar to introduce Rooted in Jesus Junior. Both dioceses had been using Rooted in Jesus to to disciple adults since 2011. Both are young dioceses with parishes scattered over an enormous geographical area, and both are subject to debilitating cyclones and short on staff and resources – but both are experiencing steady growth. In Fianarantsoa coordinator Ven Jean Flobert explained that RinJ is in use in every parish, that many groups have completed all four books, and that “we no longer give out certificates, because everybody would have one.” Over the next four days the team worked with 87 keen Sunday School teachers from across the diocese, offering the first training and the first resource material for use with children, painstakingly translated into Malagasy by Nolavy Arisoa. By the end of the year Ven Flobert reported that all Sunday Schools are now using RinJ Junior, with over 1200 children in groups. The Diocese of Toliara, inaugurated just 4 years ago, is led by Bishop Todd and Revd Patsy McGregor. In that short time 70 churches have been planted, a cathedral has been built, and many local ministers ordained. 40 Sunday School teachers had been invited to learn how to disciple children using RinJ Junior – and, a first for us, to bring the children with them. This meant that the teachers were able to try out the new material in situ with the children, which gave them much greater confidence. The diocese have just recruited a CMS partner, Derek Waller, to oversee discipleship in the diocese; he will work closely with Revd Donné Ratsimavo, the RinJ coordinator and one of the pioneers of the diocese. We try to keep in touch with all those using Rooted in Jesus; feedback enables us to pray in a focussed way for those using the course – we have a dedicated group of intercessors. It also enables us to provide ongoing advice and support, and to ensure that those using the course have access to the books they need, whether printed locally or shipped from the UK. Rooted in Jesus is run independently in both TANZANIA and SOUTH AFRICA. The annual Tanzanian Rooted in Jesus Coordinator Conference was hosted by Bishop Stanley Hotay in Arusha. RinJ has now been introduced to 18 of the 27 dioceses in the Province, and between them they provide a snapshot of the joys and challenges associated with the ministry of discipleship. 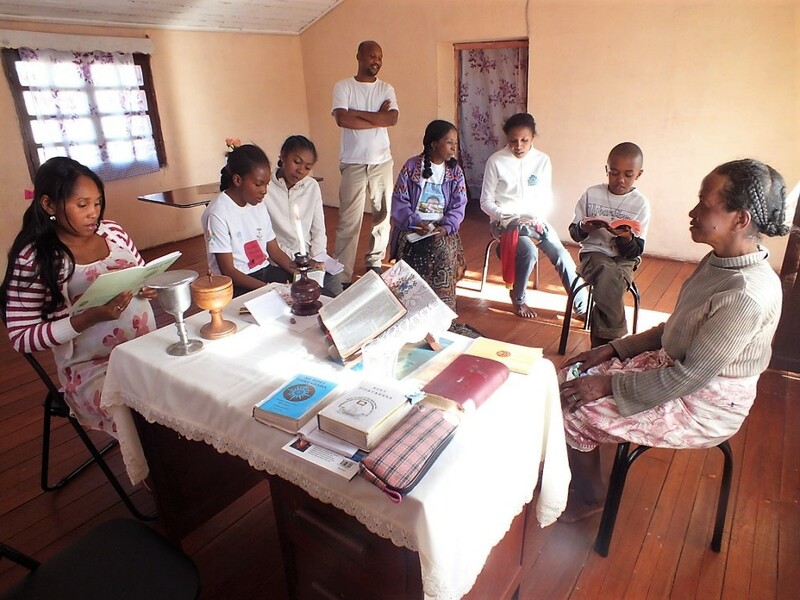 In some dioceses RinJ has had a transformative effect, with group members going on to train as evangelists and pastors, children in every parish learning what it means to follow Jesus, groups multiplying and churches growing. In others, conflicts within the diocese, poorly resourced coordinators, lack of finances and difficulties in distributing books have limited growth. A two year grant from the Anglican Communion Mission Fund enabled great expansion; the challenge now is to make Rooted in Jesus self-sustaining within the Province. In South Africa Rooted in Jesus is overseen by Revd Trevor Pearce of Growing the Church. Rooted in Jesus has remained particularly strong in the Diocese of St Mark the Evangelist, which this year ran its own training for both the adult and the Junior programmes. RinJ has now been introduced to 13 of the 25 dioceses in the Province. A new project, ‘Leadership for Evangelism and Discipleship’, was launched this year, and RinJ and its companion course The God Who is There are recommended for use by graduates of that programme. In ZAMBIA Rooted in Jesus has been adopted by 3 of the 5 Anglican dioceses, of which the strongest is Eastern Zambia, where Bishop William Mchomboh has prioritised both Rooted in Jesus and Rooted in Jesus Junior as primary tools for discipleship. There are adult groups in every parish, and RinJ Junior is in use in the Sunday Schools. 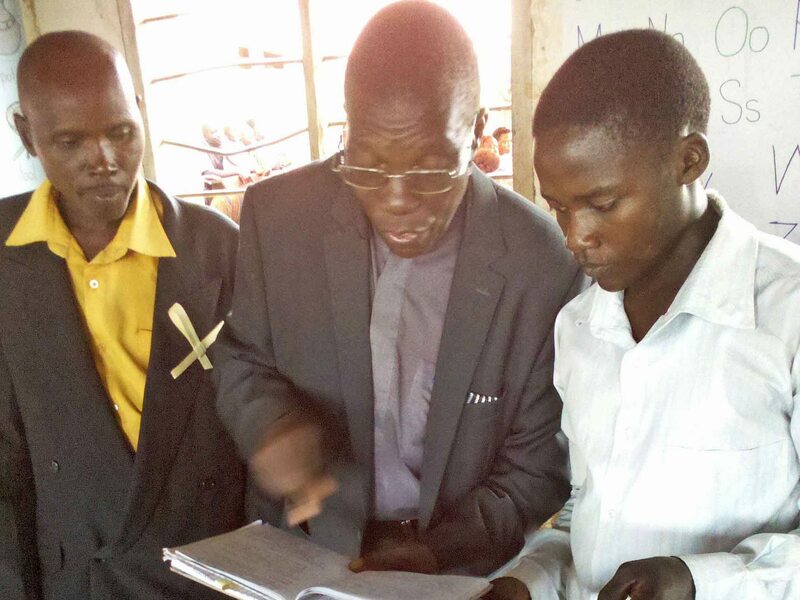 The diocesan coordinators Fr Kapomba Sekeleti, Susan Chulu and Abraham Phiri now run their own training, books are printed locally, and RinJ has become fully self-sustaining within the diocese. We are keen to make Rooted in Jesus available to other denominations, and in Zambia Rooted in Jesus is also used by UK charity Dignity as one of the key resources for its inter-denomional work amongst marginalised rural communities. Dignity now support 574 groups with a membership approaching 10,000 people; their 10 year report makes inspiring reading, with many testimonies to the way changing lives have brought change to the communities in which the groups are set. And in KENYA Brian Keel has been working with various Pentecostal networks, where he has provided training for both RinJ and RinJ Junior. Growth has been rapid, with increasing requests for more books. We have also sent books to the Diocese of Katanga in DR CONGO, where Bishop Bertin Subi has adopted the strapline ‘a strong diocese which is rooted in Jesus’. 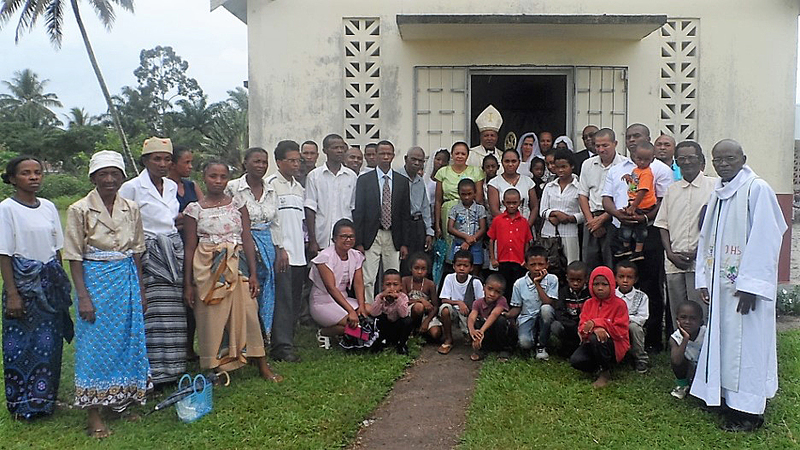 There are now over 300 groups meeting across the diocese, of which 200 in the missionary area of Kalémie, where group members have been helping to restore peace after a period of severe tribal conflict. There are still many displaced people, and group members are working in the refugee camps where they hope to plant new churches. This is a diocese with a consistent strategic emphasis on discipleship; and it is growing despite the challenges. Rooted in Jesus is published and supported by The Mathetes Trust, a registered UK charity. It has offices in the UK, in Tanzania and in South Africa. Both Rooted in Jesus and Rooted in Jesus Junior are endorsed by the Anglican Communion. The major task for us is to enable the sustained and effective growth of Rooted in Jesus across Africa. We are facilitators not drivers, and local ownership is key to the success of the programme; but we want to provide as much support, encouragement and resources as we can. We rely on people to partner with us by going on teams, praying, providing financial and administrative help. We are enormously grateful to all those who have done so this year. If you or your church would like to partner with us we would be glad to hear from you. If you would like to support the work of Rooted in Jesus we would be very grateful. To download a pdf copy of this report please click HERE. To keep up with news from individual dioceses please visit our news page. This entry was posted in Uncategorized and tagged Rooted in Jesus Annual Report 2017 on February 21, 2018 by rootedinjesus. Last summer a Rooted in Jesus Junior team led by Canon Jacob Robert travelled to Madagascar, where we met Revd Justin Randriambelotsoa. Justin’s advancing years have done nothing to diminish his enthusiasm for the gospel, and he has just written to report on the results of his ministry with Rooted in Jesus following the RinJ Junior training conference we held in August. Justin is a priest in the Diocese of Fianarantsoa. Fianarantsoa is a young diocese, founded by the existing Bishop, Gilbert Rateloson, and it has a policy of church planting in new areas. Justin moved to Farafangana in 2015, having previously built up the church in the coastal town of Mananjary – now with an expanding congregation, an increasing impact on the community (we visited the local king and his family, who have joined the church), and ambitious plans to build a second church building in the parish. Fianarantsoa is a young diocese, founded by the existing Bishop, Gilbert Rateloson, and it has a policy of church planting in new areas. In the town of Ambositra, Revd Pez Raobison has been using Rooted in Jesus for some time as a church planting tool, holding his first baptisms just over a year ago. Revd Justin is following suit in Farafangana, where he leads the first Anglican church to be planted in the town. Every Sunday morning, Justin meets with a group of parents, whom he is discipling with Rooted in Jesus. At the same time his two Sunday School teachers, Miss Joella and Mrs Alicia, teach their children with Rooted in Jesus Junior. The Rooted in Jesus meetings take place at 7.30 am, before the church service at 9am. At Mananjary Justin saw the congregation increase from none to over 500, and believes he will see the same thing happen in Farafangana. ‘When we will have a church,’ he writes , ‘I believe we will have 400 more Anglican faithful in this town.’ For the moment this litte congregation meets in the Roman Catholic chapel. The Rooted in Jesus team was led by Canon Jacob Robert, with Katy Morgan, Lucy Hefford and Revd Dr Alison Morgan. Read the 2017 conference blog report here. Rooted in Jesus is directed by Revd Dr Alison Morgan and published and supported by The Mathetes Trust. To find out more visit our website. This entry was posted in Uncategorized on January 11, 2018 by rootedinjesus.